Daytona USA is the classic 1993 3D arcade racing game by SEGA AM2 that launched the groundbreaking Model 2 arcade hardware. 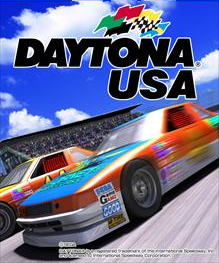 Designed by a young Toshihiro Nagoshi as the spiritual successor to Virtua Racing, Daytona USA has gone onto become the most successful arcade racer of all time and revolutionized the entire racing genre in ways that are still evident today. Although later releases included new features and additions at the loss of gameplay and graphical quality, the latest re-release of the title on Xbox 360’s Xbox Live Arcade and PlayStation 3’s PlayStation Network is designed to be the ultimate version of the arcade original.